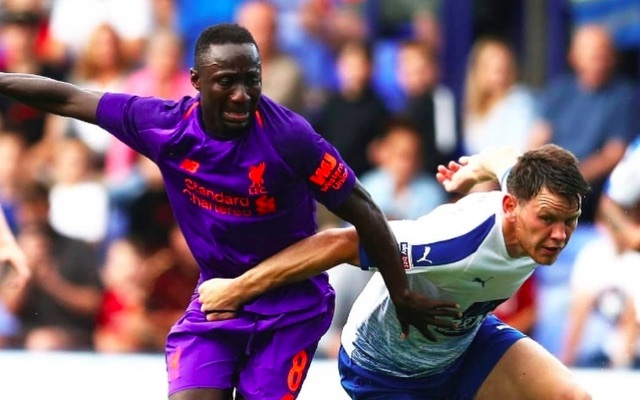 Jurgen Klopp enjoyed Naby Keita’s 45 minute performance against Tranmere last night. The Guinean started alongside Fabinho in midfield as Liverpool took a 3-0 lead before our new signings exited at half-time. We didn’t think he was especially brilliant, actually, but Klopp was very impressed! Fabinho was incredibly solid and composed at the base of midfield, and it’s very clear our two new signings are going to bolster our squad tenfold. It’ll be interesting to see how Klopp deploys his various midfielders this season coming up. We have an ever-improving Jordan Henderson, who skippers the side, Gini Wijnaldum, James Milner (the three of which just got us to a Champions League Final), a fit again Adam Lallana and Alex Oxlade-Chamberlain – who will be healthy a few months into the campaign. Early on, we predict Klopp will use the players who’ve have bigger, more rounded pre-seasons, like Fabinho, Keita, Milner and Lallana. Hendo will need a serious break after his World Cup exploits, so may be the one who sits out early on.